Vacations are powerful. They have the ability to recharge our minds and bodies and better connect us to the world – all while making lasting memories. Taking time off also has the ability to lift up the communities to which visitors travel, because we spend money and time in areas that are new to us. You can vacation to an exotic, far-flung locale, but the time you spend closer to home can have just as much of an impact. Hence, the "staycation". Americans are taking less time off than ever before, and the number of vacation days we take has been on a steady decline for years. In 2015, the average number of vacation days taken by American workers dropped to 16.2 from a decades-long average of over 20 days – the equivalent of an entire week of paid time off left on the table. And according to the latest data, over half of all Illinoisans left vacation days unused in the last year. Consider this: If we all used our allotted vacation days, it would deliver a $160 billion jolt to the U.S. economy, create 1.2 million new American jobs, and generate $21 billion in federal, state, and local tax revenues. That's why we at the Aurora Area Convention and Visitors Bureau are joining tourism professionals across the country in supporting the U.S. Travel Association's 'Project: Time Off' coalition to encourage you to use your well-earned vacation days with a simple strategy: take two- or three-day weekend trips right here in Illinois. See Broadway like you've never seen it before at the Paramount Theatre in Aurora. In just its first three years of eligibility for the coveted "Jeff" Awards (Chicagoland's version of the Tony Awards), the Paramount's Broadway Series has won 16 awards, including "Best Large Musical" for three years running thanks to breathtaking performances from its nationally recognized actors, choreographers, designers, and directors. Pencil in a day this summer to soak in rays and let the kids have a splash at Raging Waves Waterpark in Yorkville, the state's largest! 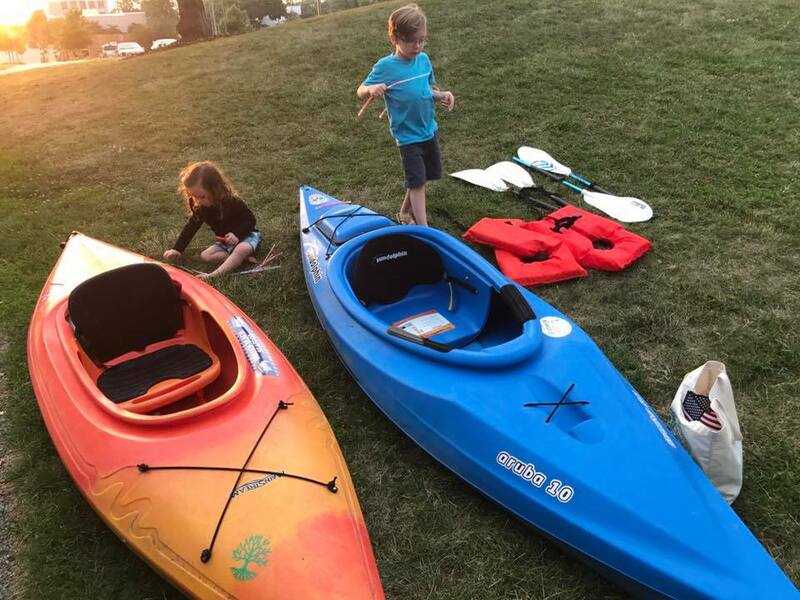 The Aurora Area is a great destination for family fun, with waterparks and entertainment centers located throughout the region. Shop designer deals at Chicago Premium Outlets, one of the largest outdoor outlet shopping malls in the Midwest, and home to exclusive outlets from luxury brands Shinola and Restoration Hardware. 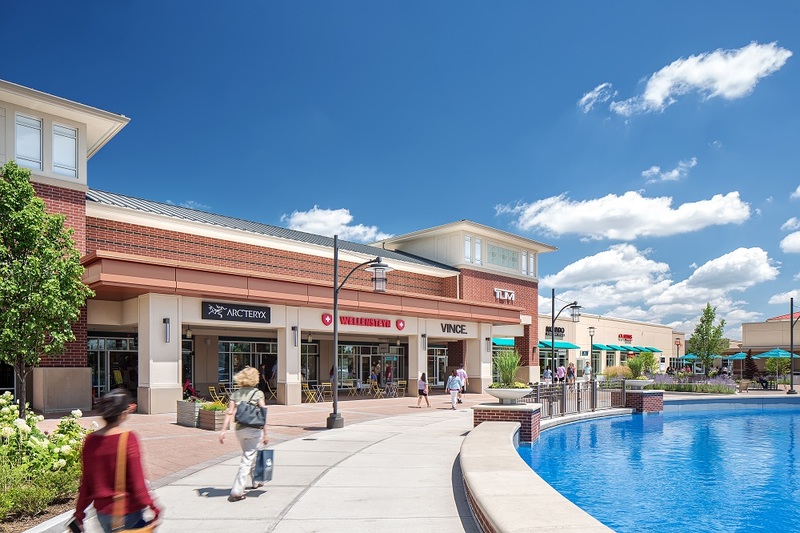 Take home brand-name fashions and goods when you visit Fox Valley Mall and enjoy bowling, billiards, private karaoke rooms, and the latest in arcade gaming at the new Round 1 Entertainment Center. Celebrate 30 years of science education at SciTech Hands-On Museum in Aurora, where kids of all ages can explore over 200 interactive STEAM (Science, Technology, Engineering, Art, and Mathematics) exhibits fostering curiosity, knowledge, and creativity. Make reservations for a long lunch or exquisite dinner at two award-winning restaurants in North Aurora, The Turf Room and Hardware. Schedule a night out on the town with the big, bold flavors of Two Brothers artisan beer and food at Two Brothers Roundhouse. Take in a show at RiverEdge Park, Chicagoland's newest outdoor concert venue. Enjoy a nightcap with Vegas-style casino gaming at Hollywood Casino Aurora. 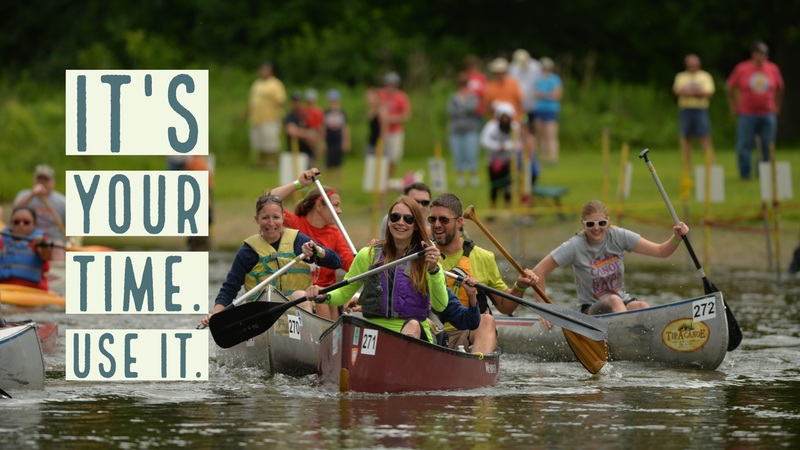 Pick a day to kayak the Fox River at Marge Cline Whitewater Course and explore the culinary and cultural delights of downtown Yorkville, where by night you can see emerging artists in an intimate setting at The Law Office Pub & Music Hall and taste elevated cocktails at the new 1836 Drink Lab + Provisions. Join in the fun and make lasting memories at the state's longest-running summer festival, The Sandwich Fair. In Sandwich, Illinois, the antiques capital of the region, you can browse hidden gems at dozens of antique & vintage shops in town, as well as visit the seasonal destination Sunday at Sandwich Antiques Market. The Sandwich Opera House provides a beautiful backdrop for legendary touring musicians and dramatic productions. Travel over 6,800 acres of pristine nature and tour the United States' most publicly accessible Department of Energy site at Fermilab in Batavia, where an international team of scientists investigate the most pressing and complex questions of particle physics. Visit Batavia's downtown shopping and dining district for lunch, a special night out, or one of its many seasonal festivals. 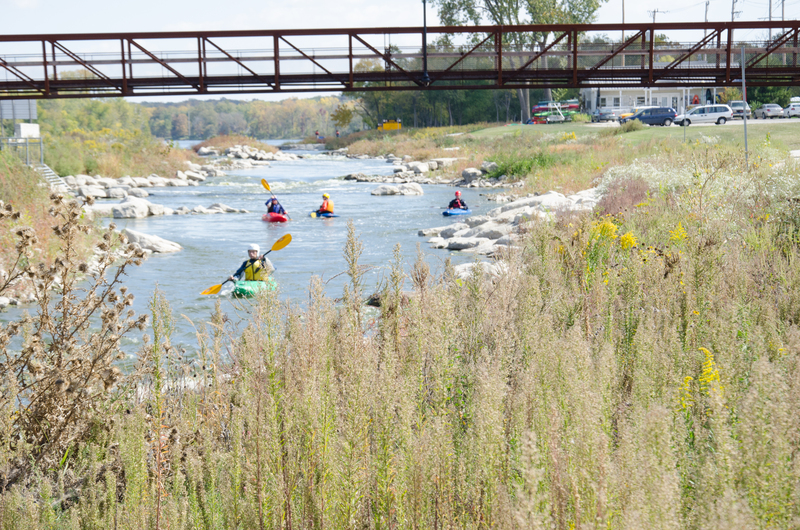 Plan a biking or paddling excursion along the gorgeous Fox River and stop to enjoy the charming, historic downtowns of the Aurora Area. 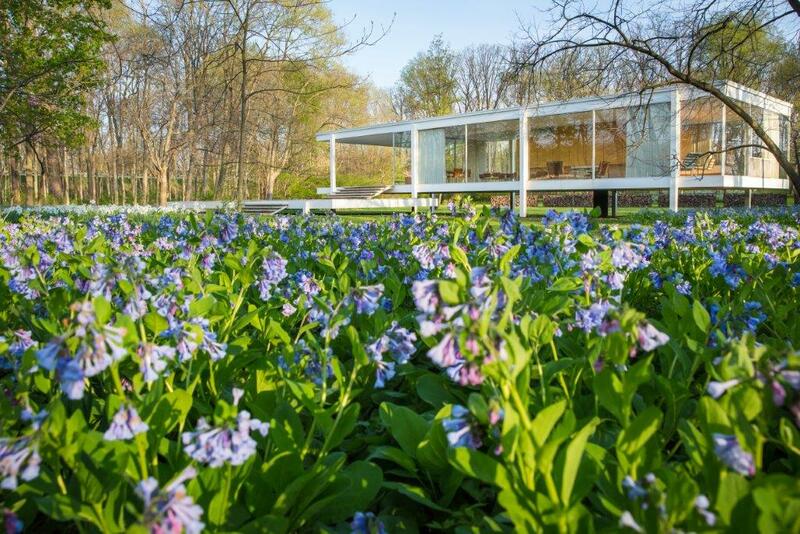 Relax, reflect, and recharge with a trip to a global cultural attraction, Mies van der Rohe's picturesque architectural masterpiece, the Farnsworth House in Plano, Illinois. 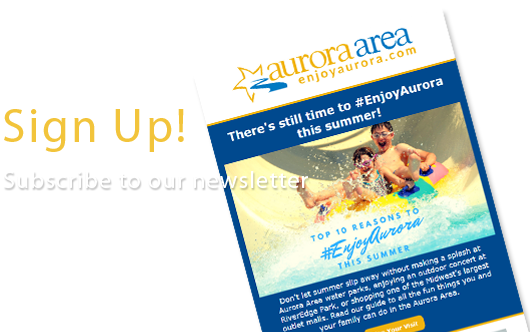 Many more attractions, shopping, dining, and events in the Aurora Area are available in our visitors directories. Make it a Getaway with amazing deals offered by area hotels in partnership with local attractions. What are you waiting for? It's your time. Use it! Make time to #EnjoyAurora today.